RAMC personel were issued with "Cases, Hypodermic & Ophthalmic". 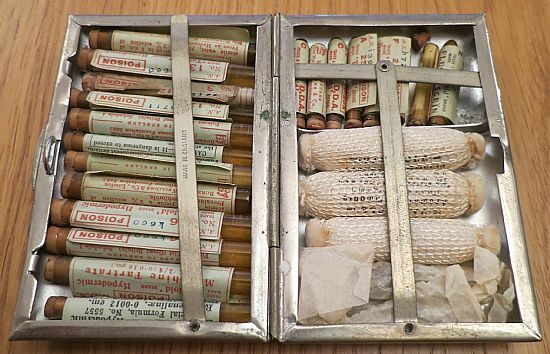 These were a small metal case containing a range of controlled drugs, which would be needed for the treatment of the wounded. Medical Officers would keep these cases (among many other items) in the right hand basic pouch. 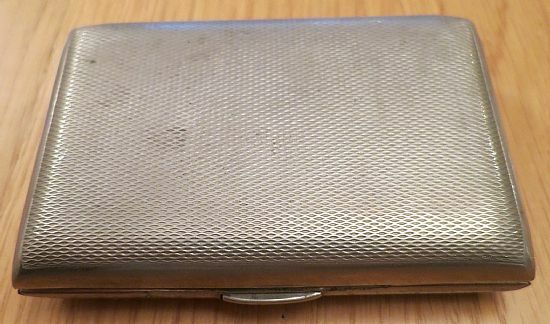 Once empty of their original contents, these cases were often re-used for storing cigarettes! Above: The case in the closed position. Above: The case open, showing its contents. Above: Details of some of the larger tubes of drugs. 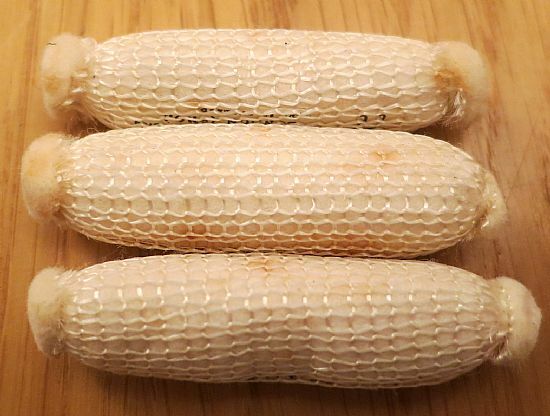 Above: Details of some of the smaller tubes of drugs. 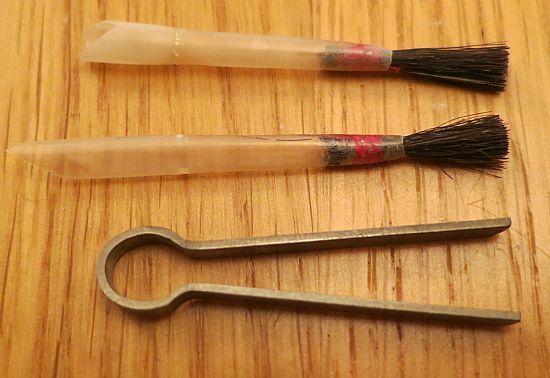 Above: All cases contained 2 x small brushes, and a pair of tweezers, for sorting through the tiny tablets. Tablet Hypodermic, Apomorphine, 1 x tube. Tablet Hypodermic, Cocaine, 2 x tubes. Tablet Hypodermic, Morphine tart. 3 x tubes. Tablet Hypodermic, Pilcarpinae, 1 x tube. 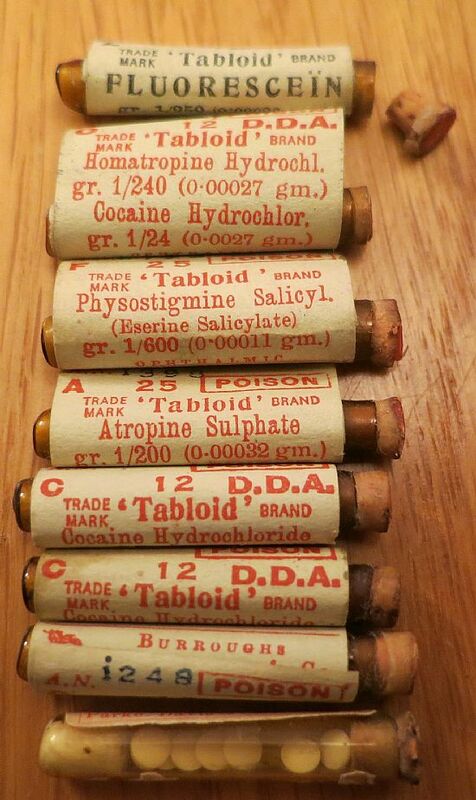 Tablet Hypodermic, Quinine hibydrochlor, 2 x tubes. 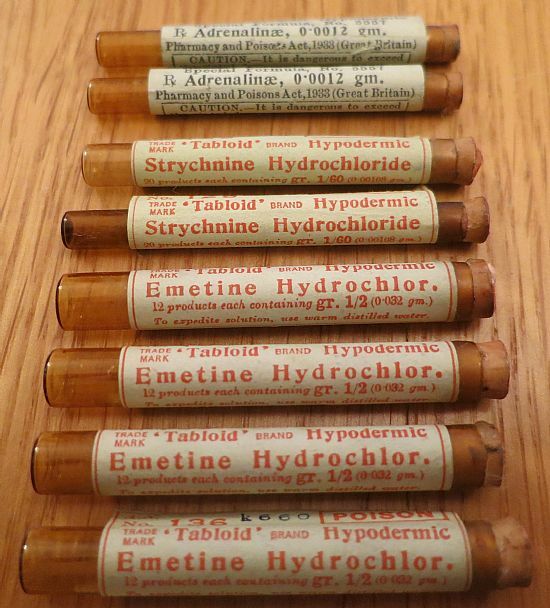 Tablet Hypodermic, Strychnine hcl, 3 x tubes. Tablet Hypodermic, Digitalin, 1 x tube. Tablet Ophthalmic, Atropinae sulph. 2 x tubes. Tablet Ophthalmic, Cocainae hcl. 3 x tubes. Tablet Ophthalmic, Physostigminae sal, 1 x tube. Tablet Ophthalmic, Homatropinae hbr, 1 x tube. Tablet Ophthalmic, Homatropinae hbr & Cocaine hcl, 1 x tube. Tablet Ophthalmic, Fluorescein, 1 x tube. Tablet Ophthalmic, Adrenalin, 1 x tube.